I caught Benjamin trying to roll over earlier this evening! I guess this means the days of the boys "staying wherever I lay them down" is about to come to an end. 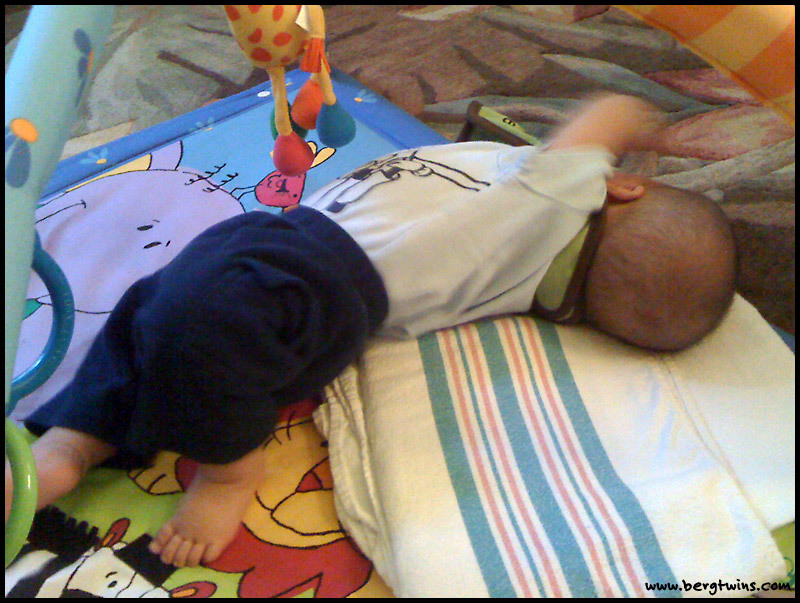 I can already see my determined little Ben rolling from one room to another before he learns how to crawl.